"Witchcraft for the 21st Century"
Happy Lupercalia To All Those Celebrating Today! This was an ancient Roman festival during which worshippers gathered at a grotto on the Palatine Hill in Rome called the Lupercal, where Rome’s legendary founders, Romulus and Remus, had been suckled by a wolf. The sacrifice of goats and dogs to the Roman deities Lupercus and Faunus was part of the ceremony. Luperci (priests of Lupercus) dressed in goatskins and, smeared with the sacrificial blood, would run about striking women with thongs of goat skin. This was thought to assure them of fertility and an easy delivery. The name for these thongs— februa —meant “means of purification” and eventually gave the month of February its name. There is some reason to believe that the Lupercalia was a forerunner of modern Valentine’s Day customs. Part of the ceremony involved putting girls’ names in a box and letting boys draw them out, thus pairing them off until the next Lupercalia. Posted on February 15, 2016 by ladyoftheabyssPosted in Articles, Daily PostsTagged Faunus, Februa, Fertility, Lupercal, Lupercalia, Luperci, Lupercus, Palatine Hill, Priests of Luperucs, Roman Festival, Rome, Romulus and Remus, sacrifice of goats and dogs, suckled by wolves. Date: February 1 or 2. Primary meanings: The name “Imbolc” derives from the word “oimelc,” meaning sheep’s milk. It is considered a time of purification, preparation and celebration for new life stirring, anticipating spring. The holiday is also known as Candlemas; the custom of blessing candles at this time signifies awakening of life and honors the Celtic goddess Brighid, to whom fire is sacred. This Sabbat also celebrates banishing winter. Symbols: Candle wheels, grain dollies and Sun wheels, a besom (witch’s broom), a sprig of evergreen, a bowl of snow and small Goddess statues representing her in the maiden aspect. Colors: White, yellow, pink, light blue, light green; also, red and brown. Gemstones: Amethyst, aquamarine, turquoise, garnet and onyx. Herbs: Angelica, basil, bay, benzoin, clover, dill, evergreens, heather, myrrh, rosemary, willows and all yellow flowers. Gods and goddesses: Brighid, the Celtic goddess of healing, poetry and smithcraft; all virgin and maiden goddesses; all fire and flame gods, connected with the newborn Sun. Customs and myths: In Irish legends of the Tuatha De Danaan, Brighid is the name of three daughters of Dagda who over time were combined into one goddess. She was venerated in Scotland, Wales, on the Isle of Man and in the Hebrides. When celebrating Candlemas or Imbolc, spellwork for fertility, inspiration and protection are appropriate, defining and focusing on spiritual and physical desires for the future. Imbolc is a good time to get your life in order — physically, mentally, spiritually and emotionally. Make plans, organize, clean out drawers and closets to bring in the new and clearing out the old. Make and bless candles; light one in each room in honor of the Sun’s rebirth. Carry out rites of self-purification. Burn mistletoe, holly and ivy decorations from Yule to signify the end of harsh weather and old ways. 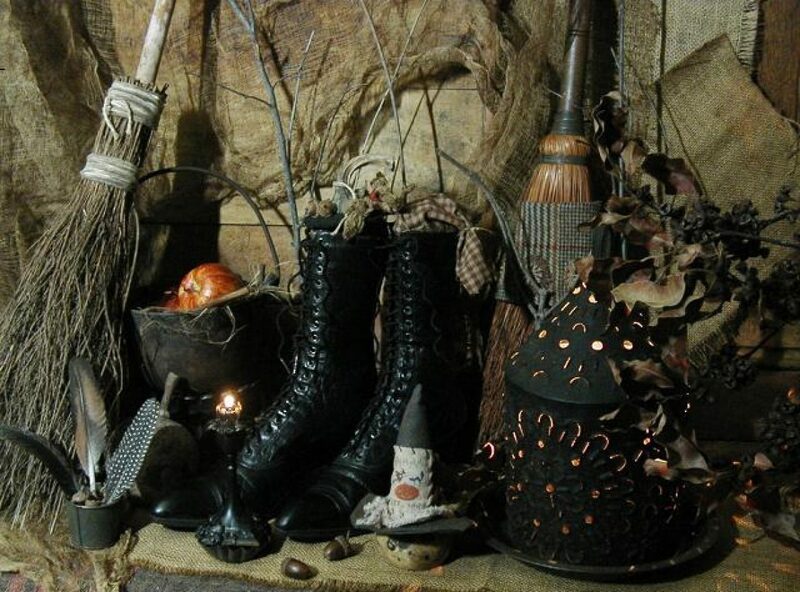 Posted on February 1, 2016 by ladyoftheabyssPosted in Articles, Daily Posts, The SabbatsTagged a besom (witch’s broom), a bowl of snow and small Goddess statues representing her in the maiden aspect, a sprig of evergreen, Amethyst, Aquamarine, Brighid, Brighid’s Day, Candle wheels, Candlemas, celebration, Garnet, grain dollies and Sun wheels, Groundhog’s Day, Guide to Sabbats, Imbolc, Imbolg, life stirring, Lupercus, Oimelc, poetry and smithcraft, Purification, sheep's milk, Spring, the Celtic goddess of healing, the Feast of Lights, Turquoise. Candlemas: Imbolic (Celtic), Imbollgc Brigantia (Caledonii), Lupercus (Strega) Candlemas involves celebrations of banishing the winter and welcoming the spring. Light a candle in each room of the house or turn on all the ligts for a moment or two to welcome back the Sun. Imbolc is a celebration of the end of winter and the return of the light. At the time of Candlemas, the newborn Sun God is seen as a small child nursing from his Mother. At this phase of the cycle, winter is swept away and new beginnings are nurtured. 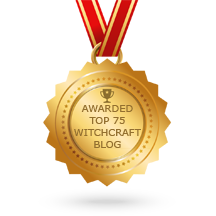 Some Wiccan groups favor this time of year for initiations into the Craft. It is traditional at Candlemas to light every lamp in the house for a few minutes in honor of the Sun’s rebirth. Posted on January 25, 2012 February 1, 2019 by ladyoftheabyssPosted in The SabbatsTagged Candlemas, Goddess, Imbolc, Lupercus, Solar deity, Sun, Wicca, Wiccan views of divinity. Posted on January 20, 2012 by ladyoftheabyssPosted in The SabbatsTagged Brigid, Hebrides, Imbolc, Isle of Man, Lupercus, Sabbat, Sun, Yule. Your donations help keep the WOTC operating and most importantly spreading the word of our Goddess. Thank you in advance for your generosity. Artist on What is your wolf name?